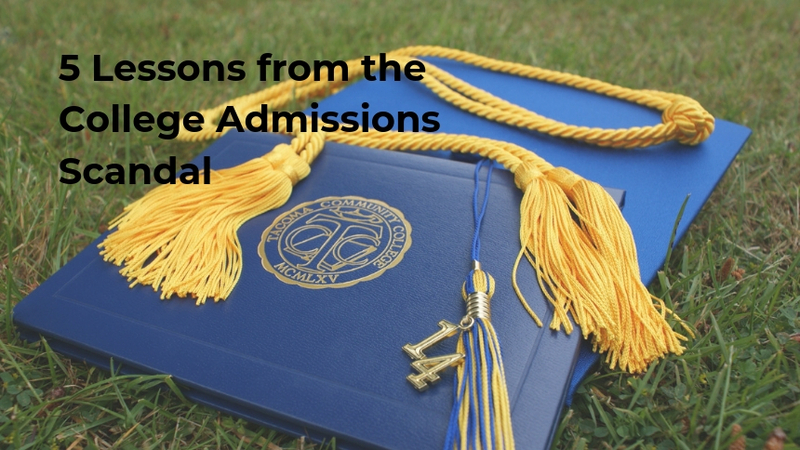 As I read about the college admission scandal, I find myself filled with equal parts of anger and sadness. So much so that I felt compelled to write this. I’m angry with the parents and the broken system, and I’m sad for the kids, many of whom had no idea their parents were engaging in illegal activities to get them into school. I find it ironic, too, that the story broke so close to April 1, when top schools will be sending out the emails that high school seniors have been anticipating for months. My oldest child is anxiously awaiting her own college responses. What I think truly gets lost in this scandal, however, is the impact on the kids. That’s what gets me so incensed. As parents, remembering the following three ideas is essential. The college process is our child’s, not ours. Our job is to be supportive, positive, and provide realistic guidelines. This may be financial (These are the schools we can afford), and this may be setting realistic expectations (here are the schools right for you). Too much of kids’ self-worth can be tied to a “brand name” college at the expense of what school may actually be a better fit. This scandal reinforces that where you go matters — more than it really does. When parents are going to this level financially and morally to get their child into a specific school, they impact the child’s thoughts about themselves. I can’t help but think some of these kids would struggle with “they don’t think I’m smart enough to get in without their help?” Our well-meaning intentions may be interpreted very differently by our teens. Be aware of your thoughts and feelings. This process is emotional for everyone — I get it that college is important, but let’s be aware of our own parental wants and keep them separate from those of our children. (Remember the first thing I said — this is your child’s process and experience). How can you manage your disappointment if your child doesn’t get accepted? How can you manage your expectations around where she/he’s realistically able to apply? Our self-worth as a parent cannot, and should not, be tied to our child’s performance and/or behavior. Ideally, we come to this awareness when they’re young, but it’s always helpful to be reminded. It’s easy to get swept up in their achievements, and I know that I tend to want to distance myself when it’s something more difficult (then it’s suddenly their problem). The truth is, it’s all their stuff. What do you think of the situation? What are your own experiences with sending your babies off to college? Tell me on my Facebook page. For those of us with an extra dose of anxiety, know that you’re not alone. If you’d like to talk about your specific situation, connect with me today.